At the weekend I went around the outer parts of Jerusalem’s old city walls. 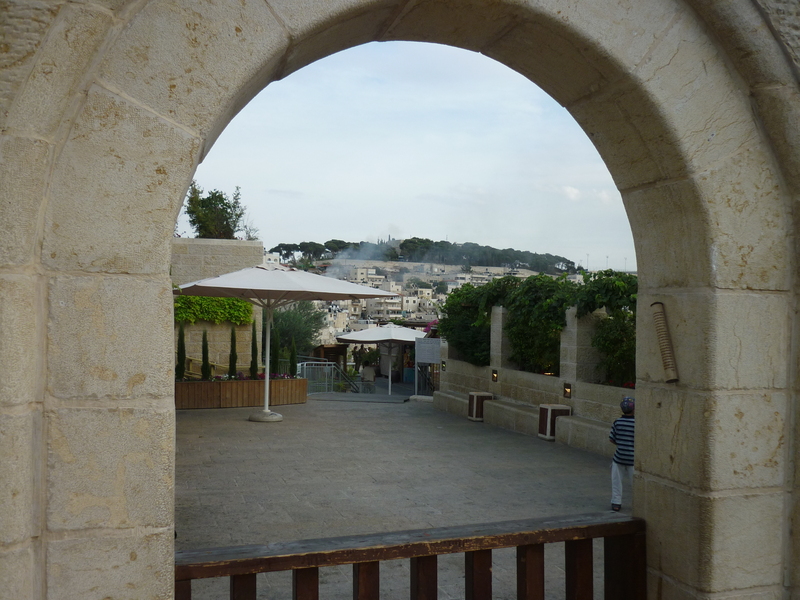 Outside of the dung gate, is the south east corner, you head around the corner to see Absalom’s tomb and the Mount of Olives. Here there is a junction which contains a volatile mix of neighbours. 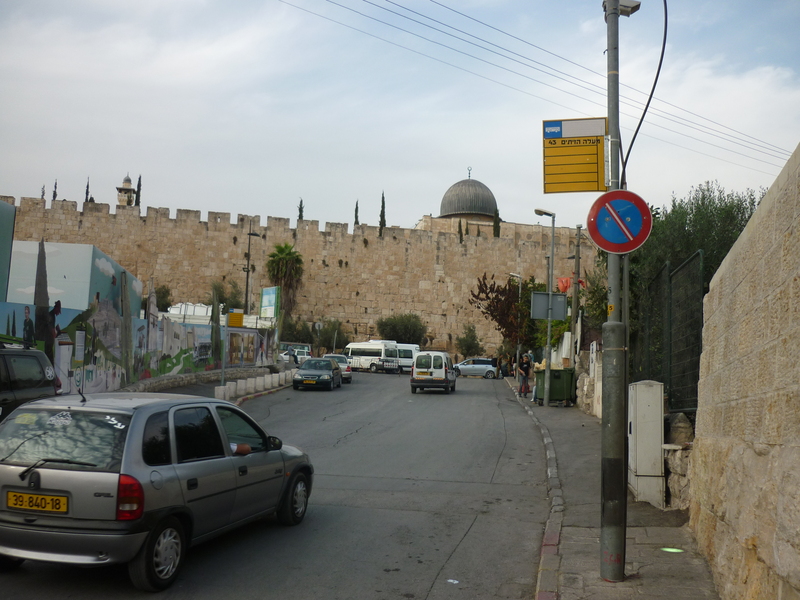 On the corner is an archaeological dig, containing artifacts that date from King David’s time. 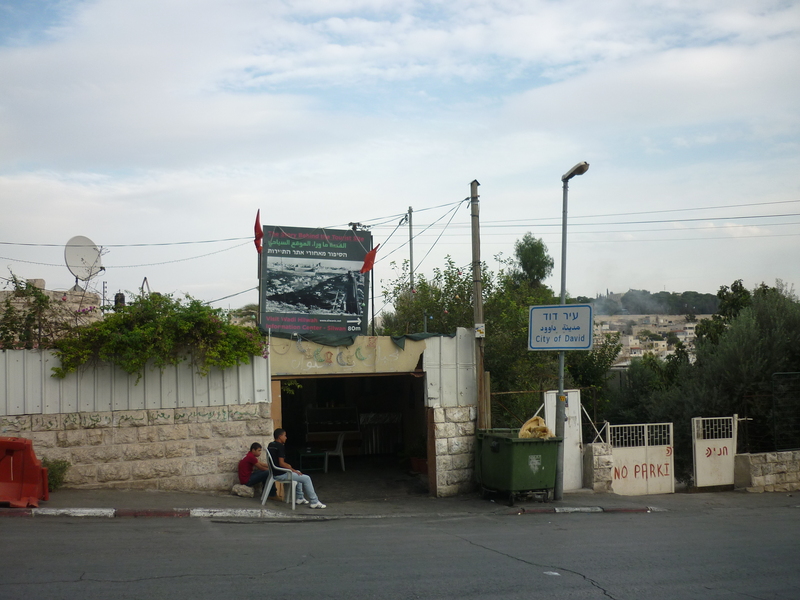 On the same street this is the entrance to the Arab town of Silwan. 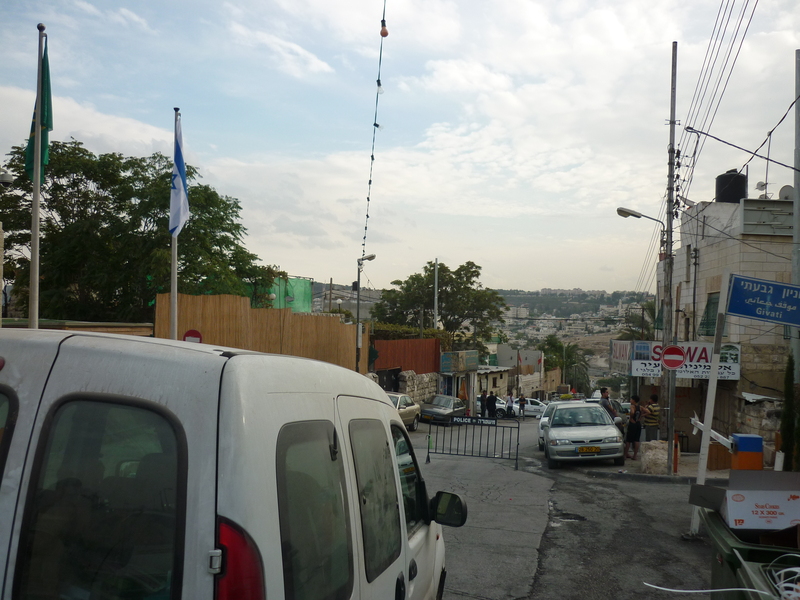 This is a much troubled district, and the name Silwan often comes up when there is news of conflicts in this city. A few houses from the corner is this Arab shop with political message outside. 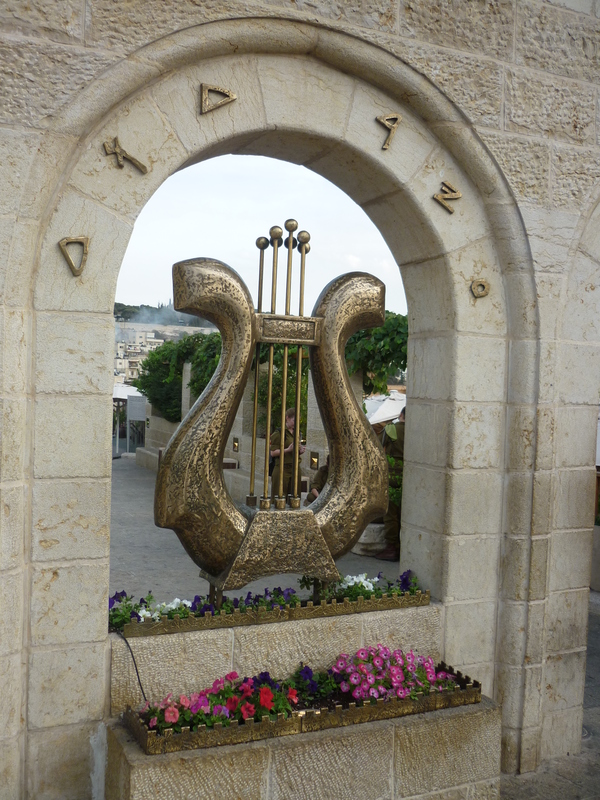 About 3 or 4 more houses across is The City of David museum which has a cinema with a 3D film of biblical history of this place and a guided tour of the buildings and a chance to go under Hezekiah’s tunnels. I went here last year its well worth a visit. The tunnels are a mile long of walking – in complete darkness; and, upto your knees in water. 🙂 I didn’t get a picture of the exact front part of this as there armed guards in front. But looking through the windows you can see the nice decorations outside. Looking behind back to the old city walls and there are about 40-50 soldiers in uniform getting off a bus. (not visible, but just around the corner) Glancing back to the museum front, there is a lone security guard, armed, but unusually (that I have never seen someone holding a handgun out of a holster) he has a pistol in his hand. Again, I glance down the street to see a group of Arab kids gather outside a shop. There is nervousness on both sides and the police and army are on alert from recent troubles. Below you can see the green flag which has a logo representing Israel’s national parks and historical places. Heading down this street as a foreigner to see the museums is safe but because extra security measures in place, but just a short distance down here, not past the museum where this barrier is. Beyond this there are rowdy children throwing rocks at the fence where the historical digging is, there is rubbish everywhere and some of the cars look vandalised. But here in the unpredictable middle east, throwing rocks can be a prelude to starting a war where each side retaliates. This is one of the many contested bits of property here, ironic given the historic sites and archeological digs that showed who lived here long ago. I can’t emphasise enough “pray for the peace of Jerusalem” and I do feel sorry for the Arab people that live here and are given different messages by different authorities, I hope and pray that Arab people will find their way out of darkness of the regime that governs them (Hamas and Hezbollah) into the loving arms of the Father.